Ear, Nose & Throat Doctors in Beverly Hills, California. 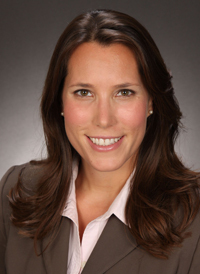 Dr. Vanessa S. Rothholtz is a board-certified Otolaryngologist-Head and Neck Surgeon and a member of the American Academy of Otolaryngology Head and Neck Surgery, the American Medical Association and the Los Angeles Society of Otolaryngology-Head and Neck Surgery. She earned her Bachelor’s degree in Engineering from Brown University where she also graduated with honors in Vocal Music earning the Weston Award for Performing Arts. As a recipient of the National Aeronautics Space Administration (NASA) supported National Space Grant Fellowship, Dr. Rothholtz remained at Brown University to earn her Master’s of Science in Engineering. While acquiring her medical degree from the University of Illinois, Chicago, Dr. Rothholtz received the Dr. C.M. Craig Research Fellowship at the University of Illinois and was a McDonnell-Pew Centre for Cognitive Neuroscience Scholar at Oxford University where she studied sound localization.